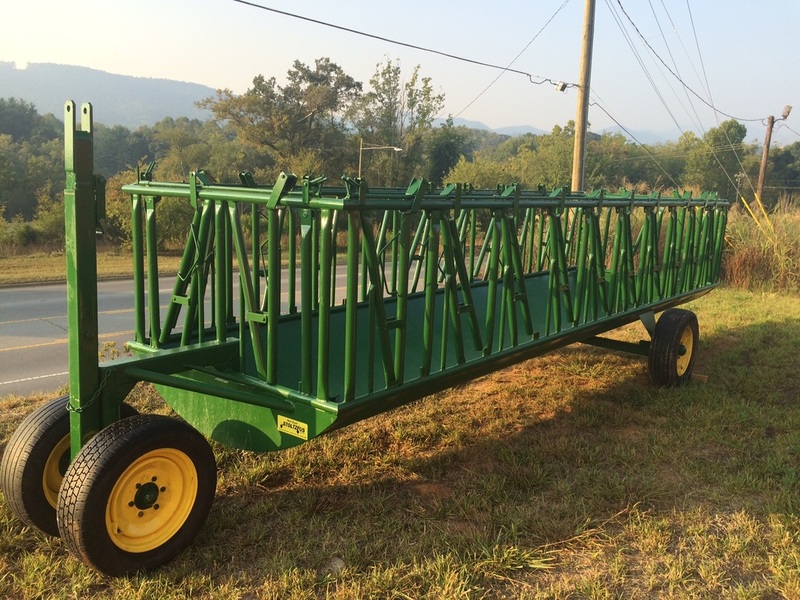 We have a great selection of hay wagons from two Amish companies who make product with skill and care. Some of the feeders have racks that we call hay savers in the trough. Others have the option of these racks that you can lift to be able to get inside for a quick clean out. 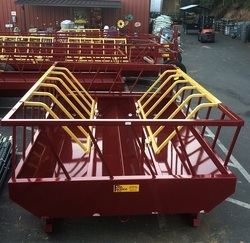 These racks keep the bales centered to decrease the amount of hay that falls to the ground. 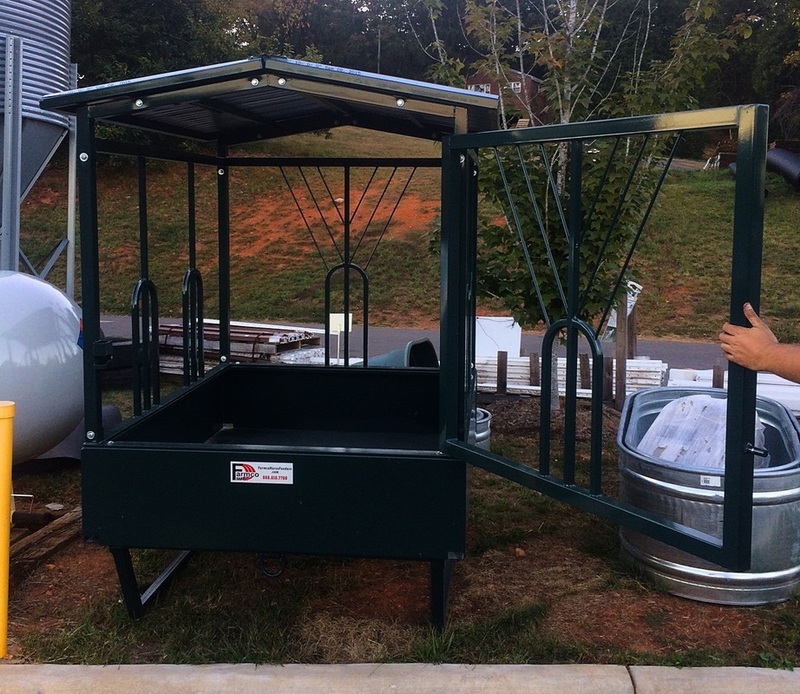 All sizes are available with tires or skid feet for moving purposes. Some have an entry gate to allow easy access for loading and entering the trough from the rear. The inverted V Divider along with slanted trough sides minimize accumulation in the bottom of the trough for less feed waste. Another option is head locks that you can leave open but then set to catch cattle for when you want to work them. Once they are caught simply walk up to them or get inside the wagon to tag, deworm or vaccinate without the use of a chute. Some feeders have a 180 degree turning dolly and extendable tongue for easy hookup. All of them have great stability and they will last for many years to come. The hay wagons we offer are simply the heaviest you can buy so that you can pass them down to your children as part of the farm. These are simple yet thoughtful designs by the Amish people that make them and they are well built and will last for years.